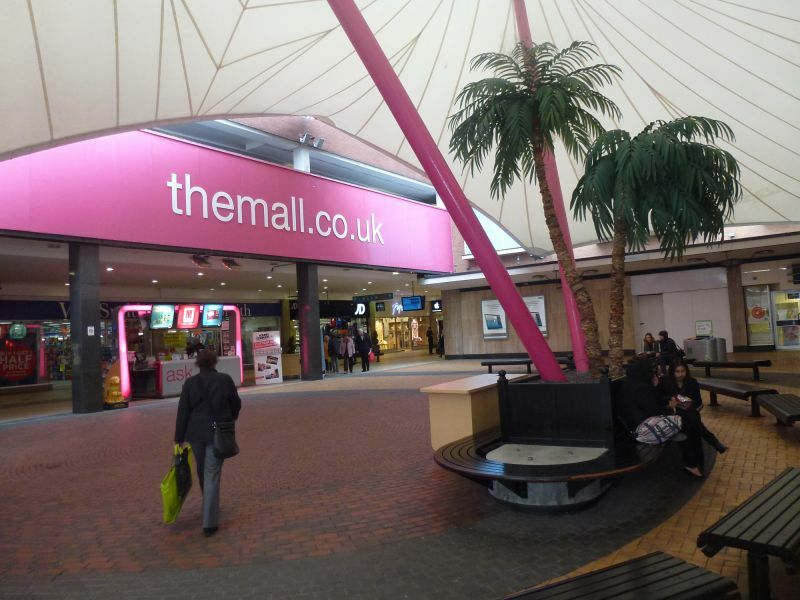 Sutton Coldfield Mall in Birmingham, was originally built in 1974 as The Gracechurch Shopping Centre. 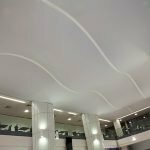 Given its age and the changing trends in retail design and development, there have been several improvement projects at Gracechurch over the years. 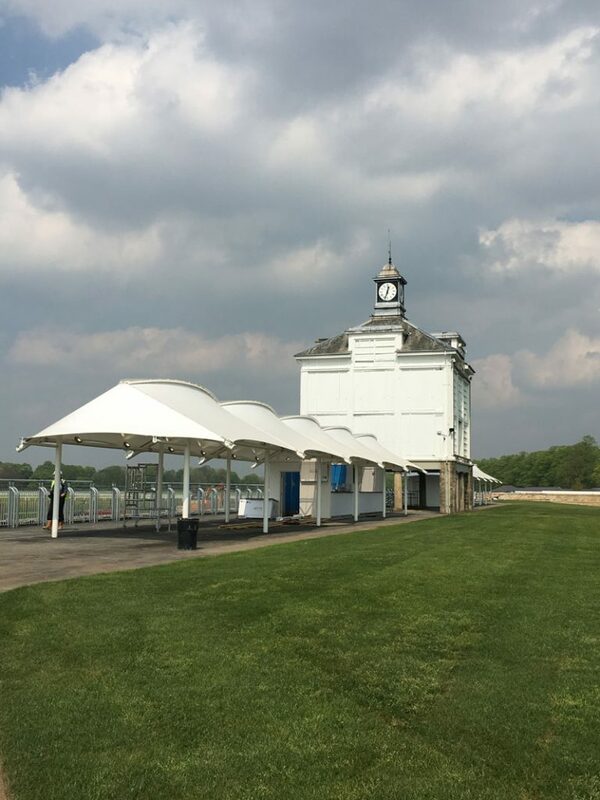 Most recently a project began to “breath new life” into the centre’s facilities by removing and replacing canopy structures that had come to the end of their lifespan. 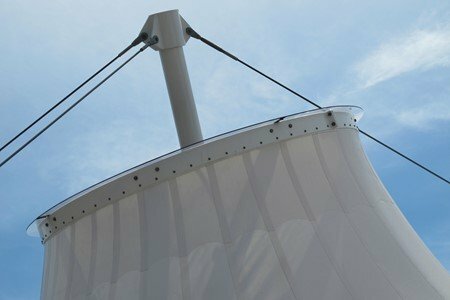 With the requirement for more light transmission, Fabric Architecture chose a Japanese fabric that was never before used in the UK. 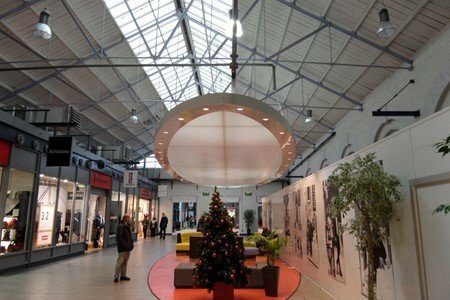 This type III fabric allows 30% light transmission which floods the area with natural light and means less artificial lighting is needed. 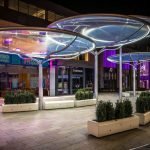 The few lights that are under the canopy are only required at night and these lights are integrated into the steel framework of the canopy structure. 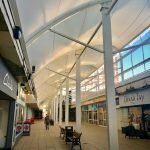 Working with an existing design presented a number of patterning challenges – ensuring the new canopy would fit with the retained hardware and fit overall within the restricted space between the retail premises, connecting at multiple levels around its perimeter to create an irregular and asymmetric geometry. 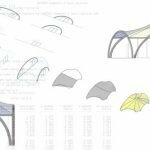 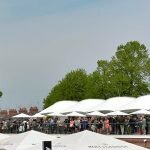 Therefore several detailed surveys of the site were carried out to establish the exact perimeters for the canopy and to establish the very best canopy pattern for the new fabric. 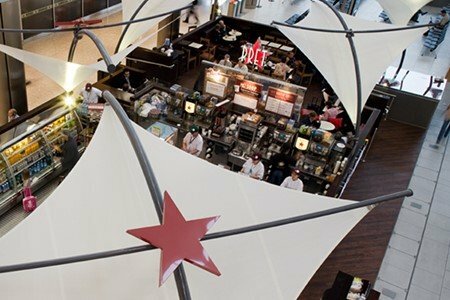 In the lead up to the Christmas period, it was essential that retail operating hours and turnover were not compromised. 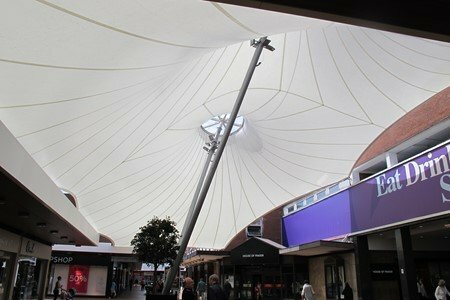 However the location of the canopy and its position at the heart of the mall presented some operational challenges. 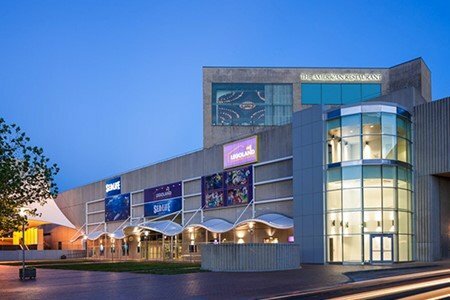 Work at height was carried out during the night under dedicated task lighting for both the dismantle and the re-installation, allowing the centre to remain open to public as normal during the day, without any detrimental effect to trade over the festive season. 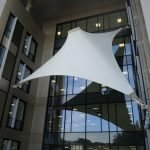 A new tensile fabric canopy was designed to replace the old one which sits at the heart of the mall – a double conic form measuring 300sqm and fixed at various points around its perimeter to the surrounding buildings. 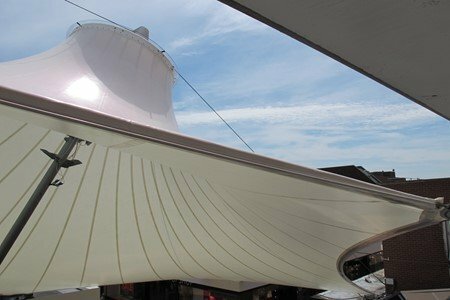 Centrally the canopy is supported by 2 angled main masts, down to ground level. 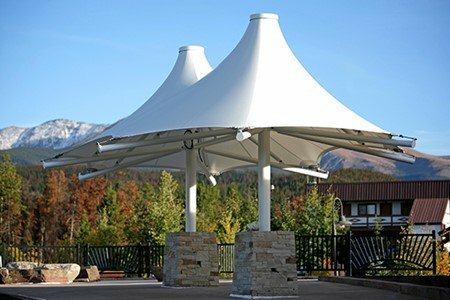 Overall the structure stands at 10m tall, providing a large covered space for shoppers to stay sheltered and for additional retail area with smaller outdoor kiosks. 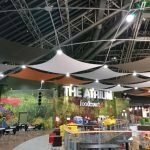 The Gracechurch project was delivered successfully without a negative effect on retail turnover over the festive season. 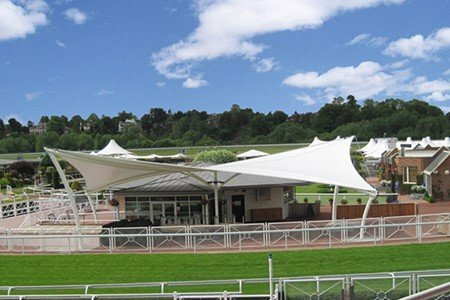 The canopy continues to provide much needed cover for shoppers and outdoor retailers, with the area underneath being significantly brighter in look and feel as a result of the new fabric. 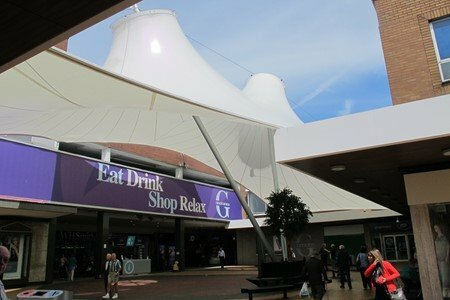 This has helped the shopping centre attract more visitors, allowing them to successfully compete with other, new-build, shopping centres nearby. 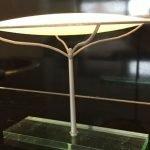 If you want to know a little more about this project, or, any other project for that matter…. 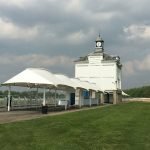 then please do not hesitate to drop us a line or give us a call. 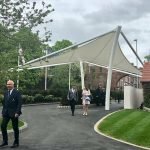 Two new entrance canopies designed, engineered, fabricated and installed in record time!